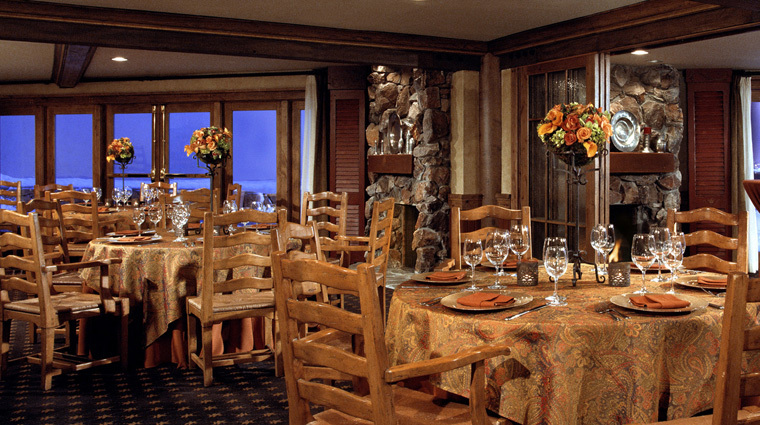 The celebrated Forbes Travel Guide Five-Star Stein Eriksen Lodge claims not only the most impressive of views of the Wasatch Mountains but one of the most lauded restaurants in Utah as well. 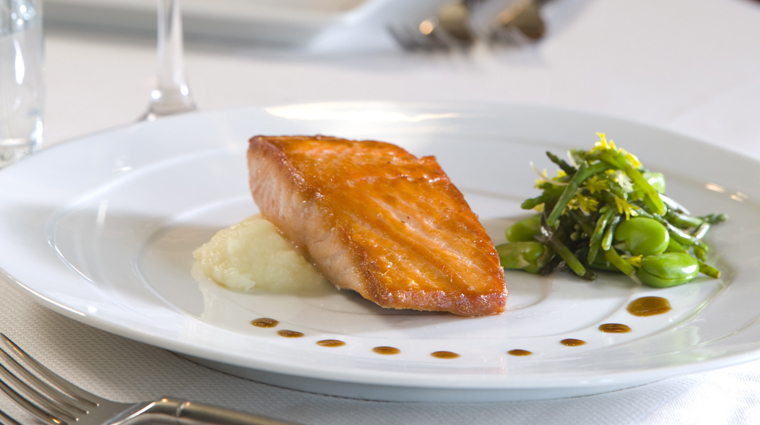 Located within the lauded Park City hotel, Glitretind Restaurant does not disappoint. You may be coming to the mountains to ski, but you shouldn’t leave without having a meal at this prestigious hotspot. This warm and romantic Four-Star eatery serves breakfast, lunch and dinner. After you work up an appetite on the slopes, head to the luxury Park City restaurant to order a hearty meal like the buffalo flank steak and Brown Gulf shrimp, grits, grilled sweet potatoes and chimichurri sauce or the Kobe pot roast with vegetables, creamed potatoes and horseradish. The wine selection is also impressive. Managed by sommelier Cara Schwindt, the restaurant's selection houses more than 350 types of wine that total more than 8,000 bottles. Glitretind is Norwegian for “shimmering mountain.” The name is fitting — the dining room looks out on the snowy mountain in Utah’s Wasatch range. Ask to sit near a window. You can watch skiers make their way down the slopes in the winter, and in the summer the patio lets you take in the fresh mountain air. With a backdrop of striking alpine views and rustic fireplaces, the menu at Glitretind offers regional American cuisine, focusing on meat, fresh seafood and locally sourced ingredients. The restaurant’s menu of hearty fare changes completely twice a year. The luxury Park City restaurant's servers are patient and willing to make substitutions to make you happy — especially if you have food allergies. When delivering dishes to your table, waitstaff will introduce the ingredients and preparation before leaving you to enjoy. 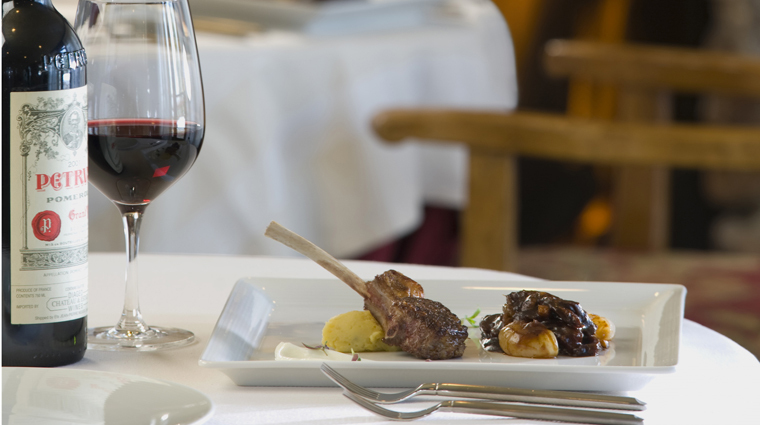 The luxury Park City restaurant offers more than 750 different wines, ranging from local to international varietals. If you need help making a selection from the 10,000 bottle cellar, just ask sommelier Cara Schwindt. Glitretind Restaurant is open all day, so don’t rule this Four-Star restaurant out for any meal. Every day from 7 a.m. to 11a.m., the luxury Park City restaurant serves breakfast, followed by lunch from 11 a.m. until 3 p.m. light snacks from 3 to 6 p.m. and culminating with dinner service starting at 6 until 9 p.m. The dress code at Glitretind Restaurant complements the menu — it’s casual, simple and takes inspiration from the mountainous region around it. You’ll want to make a reservation at the Glitretind once you get a glimpse of its diverse menu. Secure your spot by calling the Four-Star restaurant directly. The luxury Park City restaurant’s first courses include a variety of salads, soups and small plates such as Maine sea scallops served with white asparagus and foie gras butter. 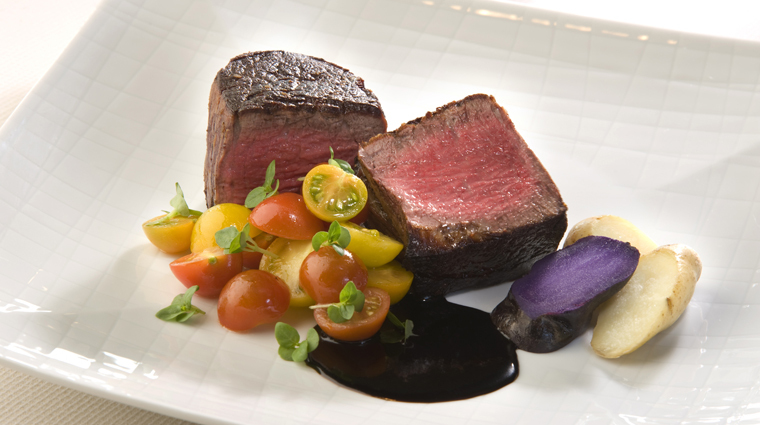 Main courses are mostly fish and meat dishes such as a Rocky Mountain elk tenderloin served with Tuscan kale, cranberry chutney and potato purée or Pacific black cod served with parsnip purée, fennel and citrus oil. You should always be able to find one vegetarian offering, too — we recently tried the pinot noir risotto with local feta cheese. 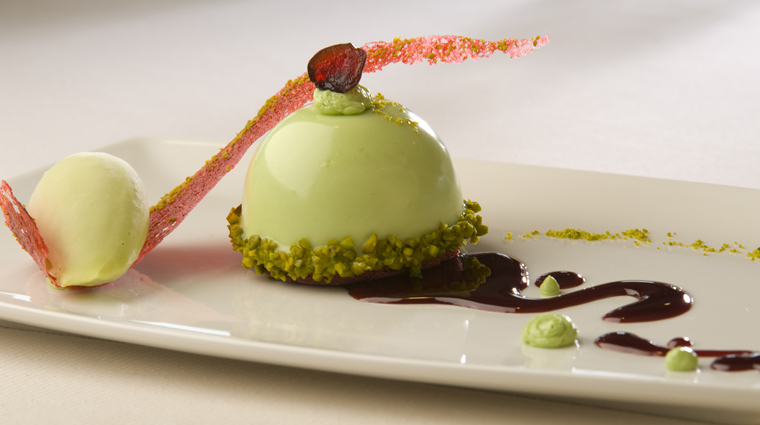 The Four-Star restaurant's dessert menu includes a selection of whimsical treats including s’mores (made with graham crackers semifreddo, house-made marshmallows, hot fudge and cinnamon-graham streusel) or an indulgent assortment of house-made chocolates. Glitretind Restaurant shares its bar with the neighboring Troll Hallen Lounge, which has the same Norwegian-inspired décor, mountain views and stone fireplaces. The bar has an extensive cocktail list, offering refreshing fruity blends such as a strawberry and mint martini or the Miner’s Daughter, made with Maker’s Mark bourbon, fresh lime and pomegranate juice, then finished with ginger ale. The house-made Bloody Mary features imported Finnish vodka, Absolut Peppar vodka and limoncello and topped with celery, olives, lemon and spicy pepperoncini. Wines and champagne are available by the glass to enjoy, including labels such as Perrier-Jouët, Willakenzie Estate and J. Lohr Vineyards. Beer drinkers have their pick of a variety of Belgian, Austrian and German beers, plus some local brews from the Salt Lake City-based Epic Brewing Company.